【Applicable disorders】The waists belt applicable to patient who has waist pain problem and lumbar disease, especially lumbar disc herniation. 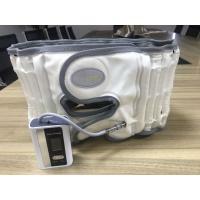 【Working Principle】To rrelieve waist load and alleviate waist pain by inflating the waists belt to share the stress of the waist. 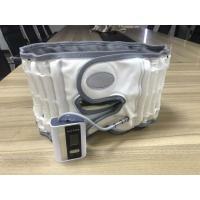 【Manual inflation】This is an inflatable waists belt, with an inflatable tube, and built-in 29 H-type air columns. 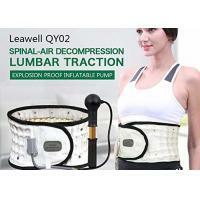 It can achieve all-round support of the waist, and open the lumbar intervertebral space in an instant. 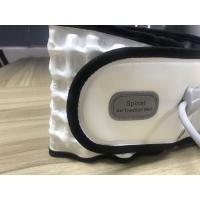 In the meantime, the inflatable design plays a very good protective effect on the waist. 【Size】The tile length of the waist belt is 45.2in(115cm), with a 9.84in (25cm) extension pad . 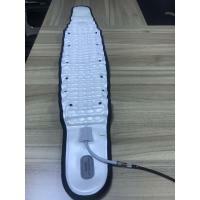 If the original length of the waist belt is not long enough, this extension pad can be used to increase the length. For example , if your waistline is bigger than 51in (130cm), you can still use it, even though the original length is just 45.2in(115cm). 【Pefect to use as birthday gifts】 Girl, Boy, Mom, Father, Grandfather, Grandmother, Ladies, Gentlemen, Friend, Her, His. 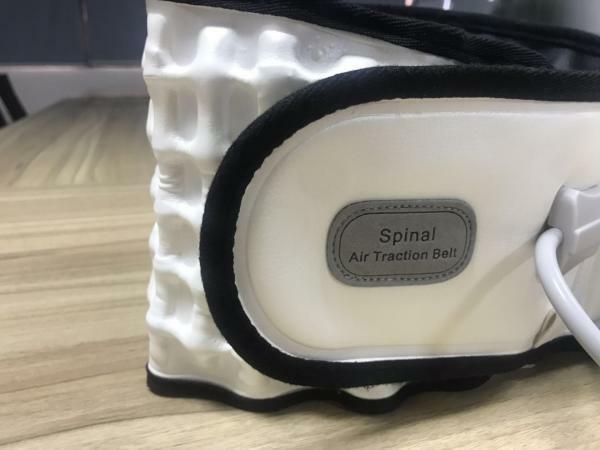 This product is suitable for a variety of lumbar spine disease.There are a lot of factors, such as ssedentary due to long time work and weight gain , that lead to growing pressure on our waist and cause waist pain, lumbar disc herniation, and lumbar spinal canal narrowing. DUORUI developed this inflatable waist by using the principle of inflatable expansion, coupled with the use of high-quality flexible materials, according to combined analysis for various types of lumbar disease. 1.Please loose leather belt before using. 2. Wearing belt between the lower rib cage and hip - round your lower backound your lower back, attaching the belt firmly by velcro. 3. Clip pump onto the air valve of the belt, and then inflate the belt by pumping the pump. 4. The most effective traction effect is obtained when the air pillars of belt are fully inflated. 5. 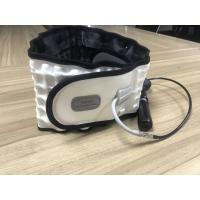 It is recommended that initially the belt be worn for 30-60 minutes at a time, if no side effects or pain is experienced then the usage tine can be periodically extended. 6. Before taking off the belt, unscrew the pump and press the air valve key until the air escapes, ensure the belt is fully deflated then loosen the belt. 1. We suggest not wear the belt when sleeping. 2. You can wear it as long as you are comfortable once you get used to it. Someone wear it all day, others wear 8 hours a day while working, it depends on you. 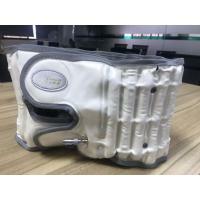 3.When we inflate for the product, if the air hole at the rear of the inflator starts to exhaust, we should stop inflating immediately to prevent the air column from rupturing due to over inflating.